NotRappaport » November 2nd, 2017, 2:19 pm wrote: If you can achieve a velocity such that the earth below you curves away from your trajectory at the same rate gravity pulls you down, you would theoretically stay at the same altitude forever (orbit). I've never understood this argument. How can you achieve a velocity that is the "same rate that gravity pulls you down"? Gravity is not a velocity, it's an acceleration. The whole concept of "achieving orbit" seems mathematically impossible without constant upward force to counteract the constant downward acceleration that we call gravity. NotRappaport » 31 Oct 2017, 12:13 wrote: Confirming the altitude of the "ISS"
To verify that the thing called the "ISS" is hundreds (not tens) of kilometers above, we only need to know it's current location - that is the location on earth it is directly above - and then check how far above the horizon it is when viewed from another location a sufficient distance away. As most "ISS" trackers use 10° above the horizon as the lowest point at which it is still considered fully visible in most areas, let's find out how far from the "ISS" current location we can be before it appear 10° above the horizon. If it were only 30km in altitude, then it would appear 10° when viewed from locations 170km away from where it is directly overhead. This 170km distance is calculated by multiplying the altitude by the cotangent of 10°, and the formula can be further reduced to simply 5.67 * altitude to find the distance at which the viewing angle is 10° above the horizon. In the context of this post, "a" would be the viewing angle. "A" would be the altitude. "B" is the distance from the location the "ISS" is above and "C" is the distance to the "ISS" itself. 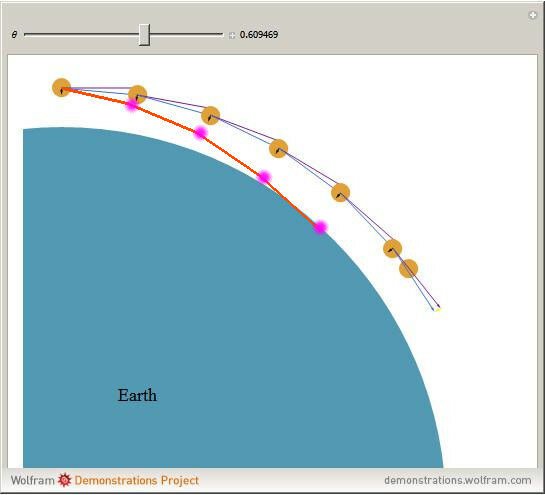 At 170km there is also earth curvature to deal which will make it a little bit less than 10° above the horizon because the ground it is above is hidden by the curve. But at 170km the hidden part is only 2.2km out of the 30km altitude. If we look at the chart on Oct 31, 2017 for 40.9834°N, 117.6572°W (Humboldt County, Nevada) it will be almost directly overhead (81°) slightly northeast of zenith at 6:22am. So let's move Eastward to Salt Lake City, Utah (over 500km away). Note that Utah is in a different time zone (1 hour later) than Nevada, so here we see at 7:22 it is 47° above the horizon. I tried looking even further east, but the same pass is not visible due to daylight. If the ISS were 30km in height, it would be far below the horizon at this distance. Even if it were 100km high it would be less than 10° above the horizon. Given that these charts are pretty accurate, this indicates that whatever the "ISS" is, it's altitude is at least a few hundred kilometers and probably exactly the claimed altitude (a little over 400km). This whole argument falls to pieces if we consider that the light point seen in one location may not be the same light point seen in another location. There could be several flying objects at a lower altitude and at a lower speed simulating a unique flying object at, say, 400 km high. It seems complicated to visualize, but I think that NASA and its programmers are capable of doing that. agraposo wrote: This whole argument falls to pieces if we consider that the light point seen in one location may not be the same light point seen in another location. There could be several flying objects at a lower altitude and at a lower speed simulating a unique flying object at, say, 400 km high. It seems complicated to visualize, but I think that NASA and its programmers are capable of doing that. So do I, dear Agraposo. I also think that the NASA programmers are capable of doing that. As I look back at it, I still think my "multiple solar-powered-drone theory" may not be such a fanciful one after all. In any case, it makes more sense to me than some bright (and unflickering) dot of light flying at 400km of altitude at 28,000 km/h, employing 6 minutes to fly past my skyline view, meaning that when I see it appearing in my view, it is over Paris, France. And when I see it disappearing ... it is flying over Alexandria, Egypt ! I understand that you are currently trying to wrap your head around at how NASA could possibly create all that footage featuring their asstronots seemingly floating around in their spaceships - apparently weightless / or in so-called "microgravity". Vomit comet? CGI? Filmed in swimming pools? So can we please get back our feet on Earth, here on this forum? If we cannot even describe what special effects were used for a fecking 1956 MOVIE - what point is there in making conjectures about how they do it TODAY, in 2017 - i.e more than SIXTY years later? This said, dear NotRap, please know that I am eagerly awaiting your images of the "ISS thing" - which you are planning to do. The_White_Lodge » November 2nd, 2017, 4:24 pm wrote: There is an entire paradigm of scientific understanding and corresponding technologies built upon this understanding which is hidden away from the public, but yet there are still fragments of its formative years still available for any willing thinker to consider [...] One of the central concepts of this paradigm is called implosion. I am not the only member looking forward to your exposition on this "implosion" concept. On the other hand, we have to beware of distractions and of becoming space fanboys ourselves. As I have said before, you can either believe NASA is a developer of Star Trek-like supertechnology (Tesla, microwave, space lasers, cold fusion, blue beam, directed energy, etc.) zealously kept away from the public eye, or that NASA is a restricted-access division of Hollywood established with the purpose of promoting scientism and belief in a politically convenient paradigm of man and the universe. I tend to go with the second option. For a body to stay in orbit around Earth, it must travel tangentially (magenta arrow) with a velocity that lets the body fall a radial distance due to the force of gravity (black arrow) in such a way that it follows the curvature of Earth (yellow arrow). 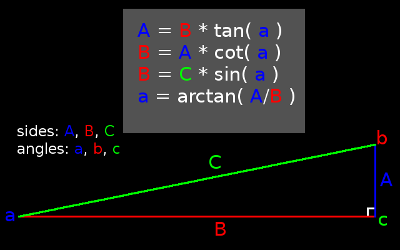 The resultant displacement can be represented as the sum of both motions (blue arrow). I browsed over this the other day but it didn't mean anything to poor old me. Then yesterday it came to me. I understood. Imagine a pole in your back garden with a wire attached to a ball that could freely spin 360. You can then throw the ball with sufficient force that it comes back to you, it does one orbit. This is very crude, please excuse. f is the direction of force, very important. Now imagine the direction of force at every point the ball will take on it's journey. The little man is at each station and f is going off at a tangent. (See image 2 above) His mirror image will be at 12:00, with f pointing in the opposite direction. If I launch the ball gently it will not make one orbit but collapse, if I launch it hard, it orbits, decays quickly then collapses. To keep the ball constantly spinning around the pole, constant force along f needs to be applied, or it's orbit will decay rapidly? Where does the constant force f come from that make objects like the "ISS" travel tangentially with sufficient velocity that it remains in orbit? Any low altitude objects would fail to spoof the altitude of a much higher object due to the degree it's apparent position will change when viewed against the background stars when observed from locations a short distance apart. When it is directly overhead at 400km altitude in one location, it's apparent position will shift less than 1° when viewed from another location 5km away, and this is reflected in the visibility charts for such locations. 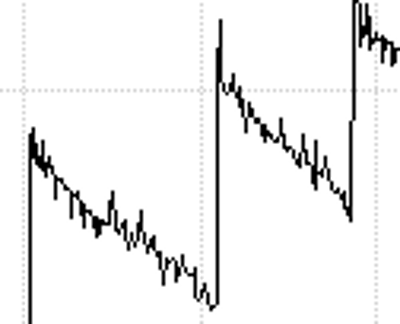 In contrast, at 30km altitude it's apparent position will shift by almost 10° between those observing locations. Even if they were only 1km apart it's apparent position would shift by almost 2° (4x the width of the Moon). I would say wire harnesses. These are hidden off-screen when he leaps up from the seat and in the second shot they are hidden by the dark background Edit: also, the second shot uses 'forced perspective' by having the set at an unusual angle so the camera is actually pointed straight up (look at the direction the loose seatbelt hangs in the bottom-left of screen), therefore from the camera's view the wires are actually behind the suspended actor. simonshack » November 3rd, 2017, 4:29 pm wrote: This said, dear NotRap, please know that I am eagerly awaiting your images of the "ISS thing" - which you are planning to do. Rest assured I will eventually get the blasted thing in my camera's viewfinder! Last edited by NotRappaport on Sat Nov 04, 2017 8:56 pm, edited 1 time in total. brianv » November 3rd, 2017, 7:36 pm wrote: Where does the constant force f come from that make objects like the "ISS" travel tangentially with sufficient velocity that it remains in orbit? To answer your question: first, the "ISS" is not in orbit. The constant (or near-constant) force that keep it going is the burning of it's on-board fuel supply, and also the fuel of the rockets that meet up with it on regular occasions. Yes, I know Wickedpedia and the science sites all like to call "ISS" an orbiting spacecraft, but this, just like the stories of it having asstronots living on it dressed up as gorillas, is a lie. Its not in outer space, its in the ionosphere. Things that are really in orbit can have their paths accurately charted for decades, even centuries in advance. The "ISS" on the other hand can't be predicted with good precision even a few weeks in advance (although they are very accurate only 1 day in advance) because it's pseudo-orbit is constantly being altered a little bit by atmospheric drag and the fuel boosts that keep it from decaying just like your ball on a wire. The rationale behind the concept of orbit is that two or more bodies will remain in motion around their common center of gravity. 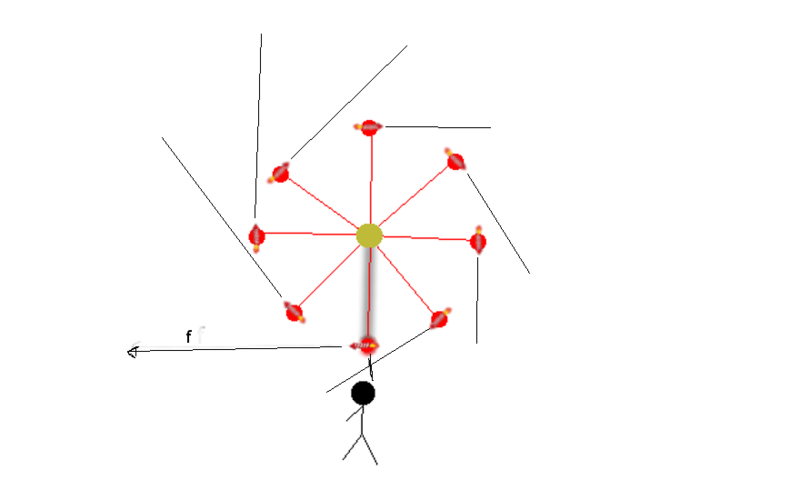 Assuming there is conservation of momentum as either body moves closer to this center of mass that body will accelerate tangentially and if either body moves farther from that center of mass that body will decelerate tangentially. In theory, two bodies will reach an equilibrium in which they become locked into a pattern of motion revolving around their mutual center of gravity. I also think that our understanding of the solar system is incomplete and that that there is either a separate force or another characteristic of this force we call gravity which allows for repulsion and levity and I think that implosion may definitely be the key to understanding this mystery and further understanding how the solar system organizes itself since Newton himself admitted that his theory of universal gravitation was insufficient to fully account for the motion of the planetary bodies. However, it may be the case that the two body problem is sufficient to understand how the Moon orbits the Earth and other instances celestial motions, and it is the rationale behind why a satellite could theoretically sustain orbit. So, if you are looking for a mathematical justification for why an orbit has been theorized to be possible, I suggest looking into the gravitation two body problem. As an example, astronauts inside a space shuttle appear to be floating in zero gravity with an absence of gravity, but actually they are continuously falling around Earth. So I imagine they are referring to the Shuttle and ISS. Is the Moon in orbit around the Earth? Where does it get f from? Has it got some rockets that have to be fired continuously? According to the narrative the ISS fires it engines once a month to recover from decaying orbit, I don't think it would last five minutes up there without an engine firing constantly! Going by the images that is! Roughly speaking, without constant force along f the starting angles would be negative. Where I stopped is about 10 minutes of supposed ISS flight time, a huge ball of fire is what I'm seeing, and it's only 400km up and traveling at 25,000 km/h. Flabbergasted » November 4th, 2017, 12:51 am wrote: I am not the only member looking forward to your exposition on this "implosion" concept. One thing that cannot be faked (to a certain extent) is money. NASA budget is for real, I guess. And what if NASA (and its contractors) is working behind the scenes in some kind of ultra-high technology, and the public "space program" is just something to show up for all the trillions of $$$ they're spending? And as a side effect, they keep the public entertained. It's much cheaper to generate good CGI than doing the real thing, of course. I know it's not a welcome topic in this forum, but I've seen UFOs twice in my life, with more witnesses. Let's say that there were flying things too bright, too fast, and too silent to be planes. I'm not saying they are extraterrestrial, I stick to the meaning of UFO. What if there is some sort of terrestrial technology capable of such feats? I agree with Altair, and it's important to understand that when the alien hoax is unleashed, the alien savior will be portrayed as giving this "ultra-high technology" to mankind. When in truth, the science behind it was discovered by men in the 1930's, and it is not nearly as elaborate as one might imagine. Now I'm getting clever. 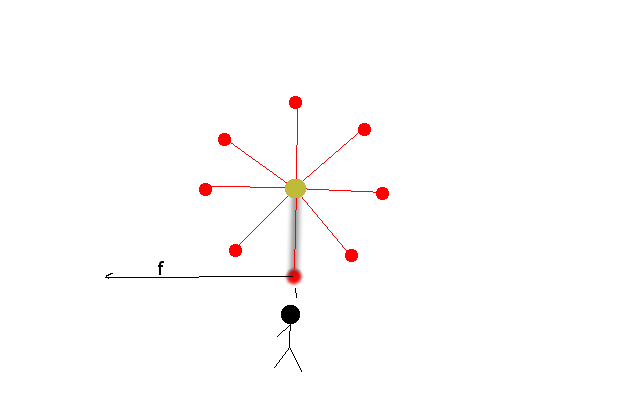 I attached a powerful firework rocket to the ball correctly that it mimics f.
Around it went until the rocket began to fail then the inevitable happened. How do satellites produce f ? They fire their engines once a month? brianv » November 4th, 2017, 12:03 pm wrote: How do satellites produce f ? They fire their engines once a month? It fires much more often than that as proven by the "ISS Average Altitude" charts which show it constantly changes on a daily basis. If the only boosts were the monthly ones, the periods in between would not show up-and-down altitude variance. As we can see, microboosts on a daily basis (possibly more frequent, but the graph isn't fine-grained enough to show that), and big boosts on the monthly. If they actually left all engines off for an entire month the thing would probably fall all the way to the ground or ocean after being torn apart by the denser air of the lower atmosphere. That's the nature of the space-travel hoax - they get something far enough up there that it can sort of be called "in orbit" (even though its not quite out of the atmosphere and the orbit rapidly decays) and that can be seen, but then proceed to tell you all sorts of little lies about it (its pressurized, it weighs 500 tons, there's people aboard, it only uses it's engines once per month) that help support the Big Lie of space travel. I did ask a more general question, "how do satellites produce f", there are thousands apparently! So the ISS does not produce constant force f, it does Daily Micro Boosts instead? And does the velocity of the ISS decrease, akin to a 500 ton truck going up a steep hill, during these Micro Boosts? Would that not reduce the constant force f even further, causing an even faster descent? About the 500 tons, it happens that the maximum takeoff weight (that is, fully loaded) of a 747-8 is 442 tons. Funnily enough, the length of both is similar: 73 m. for the ISS, 76 m. for the 747-8. So, we have to believe that such a massive object has been placed in orbit chunk by chunk and assembled by a bunch of astronauts in funny suits with very limited maneuverability, time and tooling. For comparison, just have a look at the complexity of the 747 building process and the lots of people involved. And the ISS would be a bit more complex than a 747, I think. Even more, if you have a look at a 747 flying at cruise altitude (about 12 km) you'll barely see any details, it's just a speck in the sky. Now let's put our plane in orbit at... 400 km. Would it be so visible from the ground as the purported ISS?